Click on topics below to find primary sources related to curriculum standards. 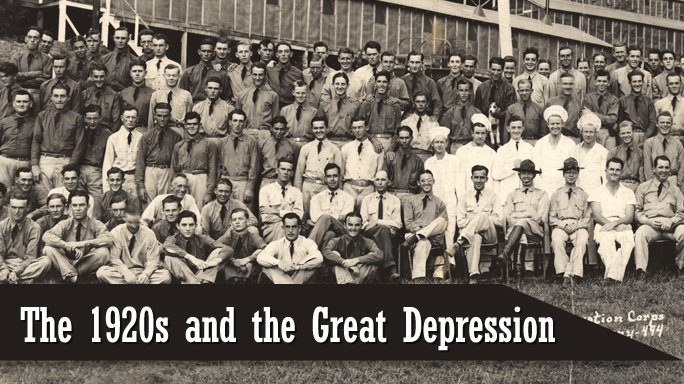 To see all primary sources for The 1920s and the Great Depression, click here. Perhaps no other single structure among Nashville's buildings so epitomizes Music City's spirit as the Ryman Auditorium. 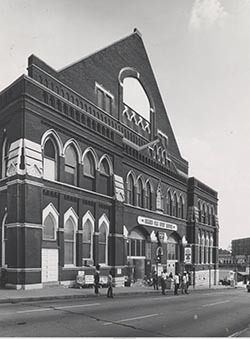 Recognized around the world as the "Mother Church of Country Music," the Ryman is best known for having hosted the Grand Ole Opry, a weekly radio show, for decades. However, the history of the Ryman transcends genres and is closely intertwined with the history of Nashville. 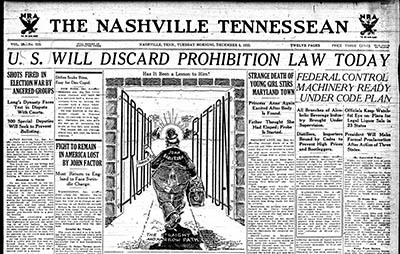 It was the constitutional amendment that tried - often unsuccessfully - to put Americans on the path to sobriety and in the process created a booming market for Tennessee's providers of illegal moonshine whiskey. The 18th Amendment to the U.S. Constitution, which launched the Prohibition era in 1920, was called the country's "noble experiment." 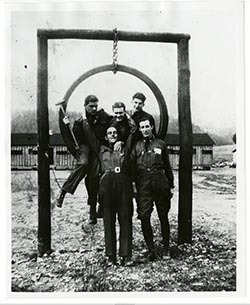 Created in 1933 by President Franklin Delano Roosevelt to preserve and nurture America's natural resources, the Civilian Conservation Corps brought forests back from the brink of destruction, established recreational destinations, and provided work for tens of thousands of young men from the Volunteer state. Approximately three million American men, including more than 75,000 Tennesseans, enrolled in the program. Without a doubt, the question, "where do humans come from?" was asked long before Charles Darwin published Origin of Species in 1859. Yet throughout the twentieth century and into the twenty-first century, the debate amongst members of the scientific and religious communities has continued to be a divisive and widely debated topic. The Scopes "Monkey" Trial is perhaps one of the critical events of this controversy and one of the landmark legal decisions of the twentieth century. 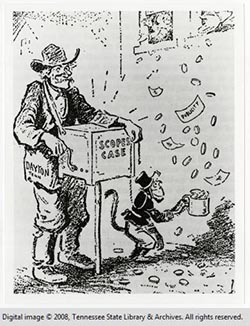 For more on the Scopes Monkey Trial, visit our online exhibit: A Monkey on Tennessee's Back: The Scopes Trial in Dayton. 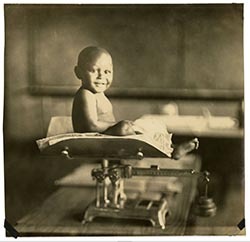 This photograph album presents detailed visual documentation of the Commonwealth Fund Child Health Demonstration's (CHD) study of children from Rutherford County, Tennessee, between 1924 and 1928. The CHD's philanthropic venture was to promote the welfare of humanity by providing publicly funded child health education and care, building hospitals, and promoting the idea of county appointed health officers. Dr. Harry Stoll Mustard (1889-1966) was the on-site director based in Murfreesboro, Rutherford County's seat of government.